Tesla has done away with its Model S and replaced it with a new entry-level model, the Model S 70D. It's more powerful, goes further before needing a recharge, and – you guessed it – is a bit more expensive. 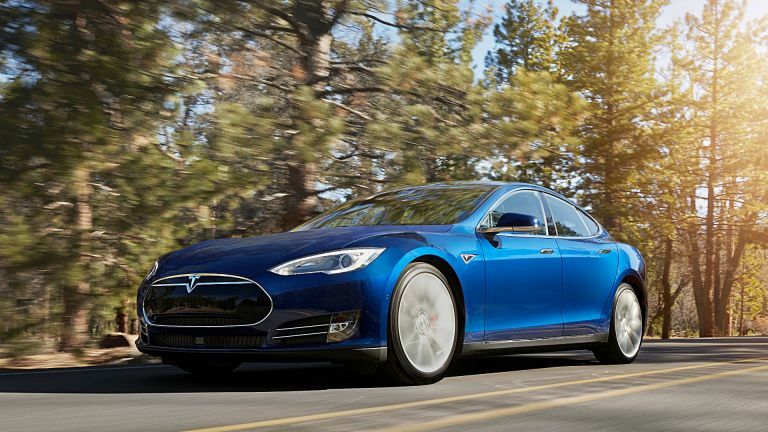 The Model S 70D upgrades the Model S's 60-kilowatt-hour battery to a new 70-kilowatt-hour model. That gives it a top speed of 140mph, 514hp (compared to its predecessor's 380hp), and a 0-60 speed of 5.2 seconds (0.7 seconds faster than the Model S). That's just shy of the performance of the Porsche 911 Turbo, which costs roughly twice as much. The Model S 70D also goes 240 miles on a single charge, which is 15 per cent further than the Model S.
It has some other neat extras too. It's all-wheel drive, and comes with all the kit you'll need to use the firm's fast-chargers that are dotted around the US and some in the UK. This used to be an optional extra on the more affordable models. Sadly it doesn't have the "insane" button as on the P85D model, which gives it extra torque. But it is the cheapest model. A software update is due soon that will let the car drive itself. These updates install themselves over-the-air. It's as simple as updating your phone. Tesla also added three new colours: warm silver, obsidian black and ocean blue. Back in February, software development company Eleks showed off an app for the Apple Watch that lets you monitor your Tesla jam jar, lock and unlock the doors, sound the horn and more. Which sounds like a great way to annoy passersby. The new Model S 70D is on sale now, and costs £54,500 including the £5,000 UK Government Plug in Grant. Delivery is expected in one to two months.